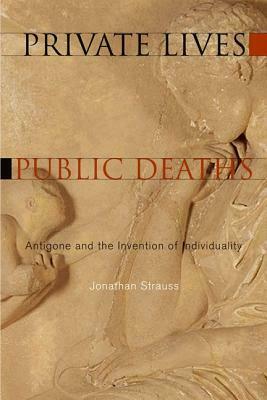 In Private Lives, Public Deaths, Jonathan Strauss shows how Sophocles' tragedy Antigone crystallized the political, intellectual, and aesthetic forces of an entire historical moment-fifth century Athens-into one idea: the value of a single living person. That idea existed, however, only as a powerful but unconscious desire. Drawing on classical studies, Hegel, and contemporary philosophical interpretations of this pivotal drama, Strauss argues that Antigone's tragedy, and perhaps all classical tragedy, represents a failure to satisfy this longing. To the extent that the value of a living individual remains an open question, what Sophocles attempted to imagine still escapes our understanding. Antigone is, in this sense, a text not from the past but from our future.